Unveiled at the start of summer, New Citroën Berlingo Van is now available to order in France from €17,450 exc. taxes. Perfect in terms of practicality and load capacity, this 3rd masterpiece has skipped a generation in terms of style and specifications. A modern utility vehicle, its facilities have been enhanced and it is equipped with 20 driving assistance technologies for comfort and modularity. Suited to all uses, it is the perfect partner for professionals and is fully in line with the Brand’s signature “Inspired by Pro”, dedicated to Citroën’s light commercial vehicles. 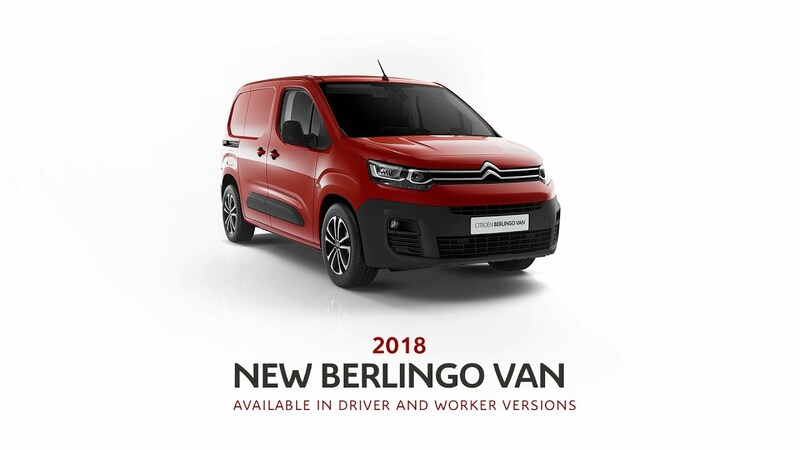 New Citroën Berlingo Van is available in 2 Sizes (M and XL) and has moved upmarket with customised options on the basis of 4 finishes (including 2 original WORKER and DRIVER finishes) and different passenger compartment configurations (Standard Cabin, Extenso® Cab, or Modular Crew Cabin). It also runs using the latest-generation Diesel engines (including the 130hp BlueHDi 1.5 Diesel engine with automatic EAT8 gearbox). New Citroën Berlingo Van will be available in dealerships in the last quarter of 2018. - 8 body colours: Aqua Green, Ice White, Deep Blue, Steel Grey, Platinum Grey, Onyx Black, Ardent Red, Sand. “Inspired by Pro”, New Citroën Berlingo Van capitalises on its strengths and provides an adapted solution to each profession for a customised on-board comfort. - The wheel arch width is the same, compatible with Euro-pallets, and can hold up to 2 Euro-pallets in load length. 4 connectivity technologies including: Citroën Connect Nav and Wireless smartphone charging. Available to order along the entire Citroën France network from €17,450 exc. Taxes, New Berlingo Van intends to continue along the road to success with this 3rd generation vehicle combining design, comfort, and ease on a daily basis.